Three new women’s basketball players are already calling Bradley home for the 2010-2011 season. Next year, the team will welcome forward Kelly Frings, guard Kelsey Budd and center Alyson Spinas-Valainis. Frings, a Wisconsin native, earned first-team all-conference honors her junior year after she led the league in scoring, rebounding and steals. She also recorded the conference-best in 3-pointers, with 28, during her first three years of high school. 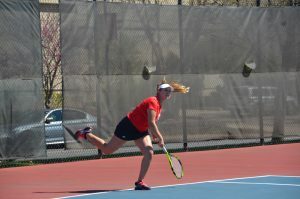 “Kelly is a 3-4 player, she is a smart kid and she plays smart,” coach Paula Buscher said. Budd, a fellow Wisconsin native, was a three-time, first-team all-conference pick. She assisted her team to a 51-15 record in her three-year varsity career and appeared in a sectional title game her senior season. “Kelsey is a tough playmaker and scorer,” Buscher said. Finally, Spinas-Valainis was her high school team’s MVP during her junior year and earned first-team all-district and first-team all-conference honors last season. She also received all-conference honors during her high school softball career. Academics are the most important aspect when the team is looking for new players, Buscher said. One of the women’s basketball team’s goals this season is improving defense. The team’s second goal is constant improvement from each game to the next, Buscher said. 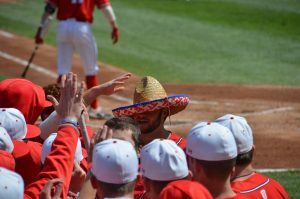 The team saw improvement from the first game to the second game last weekend, when it suffered a loss to Northern Illinois but beat Illinois-Chicago.